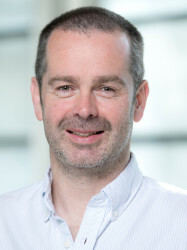 Martin Haugh joined Imperial College Business School as an Associate Professor in 2017. Prior to that he spent more than 10 years in the Department of IE & OR at Columbia University as well as 4 years working in the hedge fund industry in New York and London. He obtained his PhD in Operations Research from MIT in 2001 and has MS degrees in Mathematics and Applied Statistics from Cork and Oxford, respectively. Martin's main research interests are in: (1) Computational finance and risk management and (2) Markov Decision Processes and sub-optimal control. He is also very interested in: (3) Machine Learning / Business Analytics / “Big Data” and has recently begun working on some research projects in this area.